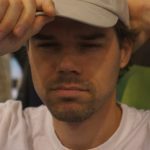 Terraforming Mars causes a real buzz in Spiel Essen 2016 with his first place in the BGG Essen ranking and his third place in the Fair Play ranking. In the 22nd century, Earth is overpopulated. There is a lack of space and resources dry up. Humanity must find a solution and decide to terraform Mars to be able to settle there. And this is already in this theme that Terraforming Mars surprise us. Players will work together for the good of humanity. They go together terraforming Mars. In order to terraform Mars, it is necessary that its average temperature reaches 8 ° C, that its oceans fulfill 9% of its surface and that the oxygen level in the atmosphere reaches 14%. It is only when these three criteria will be realized that the game ends. Terraforming Mars nevertheless not allow, as in Archipelago or Tomorrow, a player to sabotte this goal so that everyone loses. 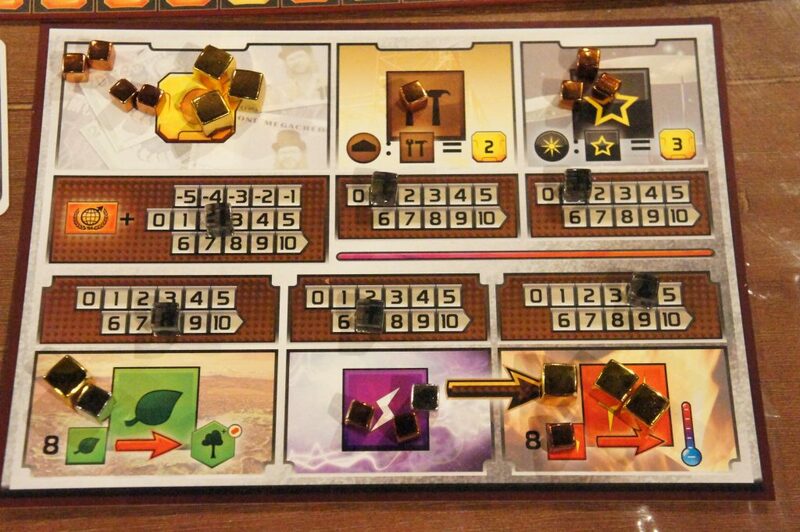 No, in Terraforming Mars, you have to work together for the good of humanity. So players have a common goal and yet they will compete for Terraforming Mars is a competitive game! 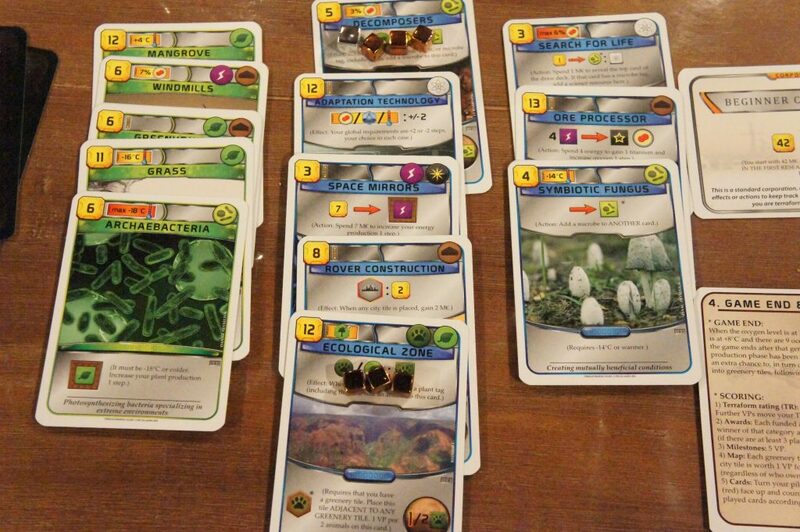 Terraforming March begins during set-up where players must decide their corporation (= special abilities) and cards that make up their starting hand by buying them from 10 cards taken at random from the common deck. The playing of cards is very important in Terraforming Mars. Blind pick-up of cards is the heart of the game. In addition to your starting hand consisting of cards you have chosen from the cards taken randomly, the rest of the game is in the same vein. Each turn, you draw 4 cards and decide which you keep by buying 3 million each. Luck is present of course. But you draw so many cards in Terraforming Mars and the choices you’ll make from them will be so important that this luck is not so disturbing even if it may give some advantage to certain players. There are more than 200 different cards in the deck and so many possible combinations that the game is super addictive. It is a furious desire to play it again after each game. Deciding what to do with the cards drawn and see every game so different from each other is awesome! 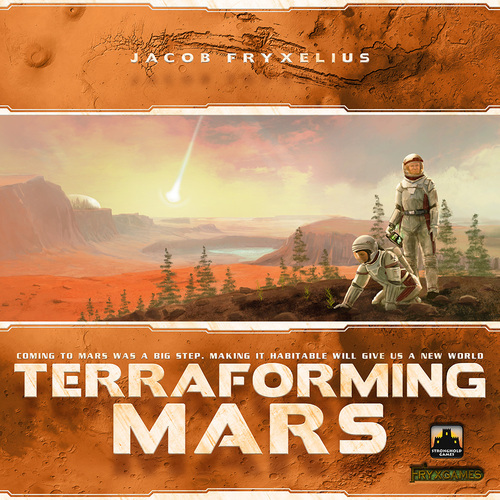 Terraforming Mars also offers alternative actions that allow players to catch up with the standard actions if the drawn cards are not suitable. 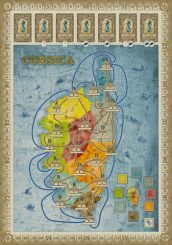 Being the first to reach 35 points, to have 16 cards in hand, to build three cities … are common goals. But it is not enough. To achieve a goal first, we must also pay 8 million to claim the goal. And only 3 goals can be claimed. A race to the goal will take place. 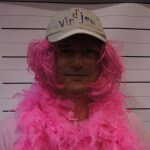 5 majorities bring VPs: having the most cards of a particular kind or having the most resources of a specific kind at the end of the game allow you to earn extra VPs. However, to win these additional PVs, you must pay to achieve it and only 3 majority may take place. In addition, the first count costs 8, the second 14 and the third 20. The earlier you book the countdown, the less it costs. Excellent mechanism. Players will found cities and create forest and ocean areas. They will place the tiles with the mark of their color which will give them VPs at the end. Also on the map, players will compete for places. In Terraforming Mars each player plays a big corporation which will contribute to the terraforming of Mars (I think you get it now). We will play cards and realise different actions, which will help increase the temperature, increase the % of oxygen in the atmosphere, and increase the surface of the planet covered by water. 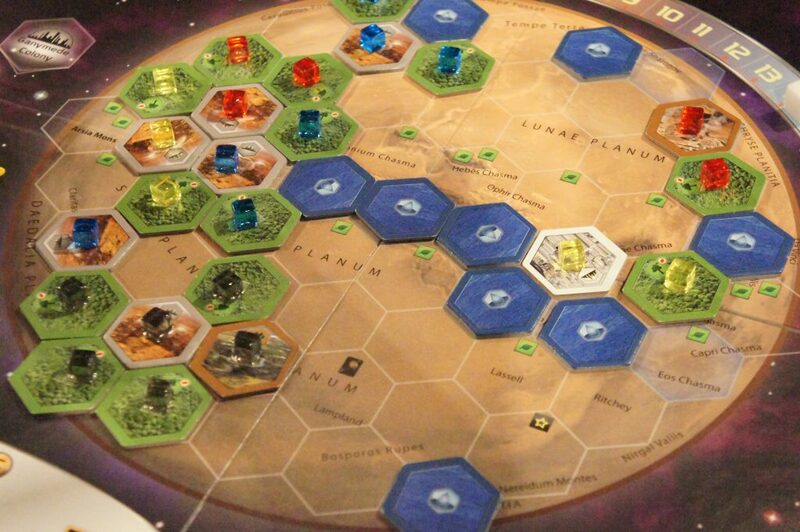 Once a predetermined level reached in those 3 categories (8°, 14% oxygen and 9% of the surface of the planet covered by oceans) Mars is terraformed and the game ends (the one triggering the end of the game not necessarily being the winner). This short description is the first (big) asset of the game: the theme is extremely present, you genuinely have the impression to contribute to a grand project. In addition to that, the fact it is not a race makes it even more interesting. 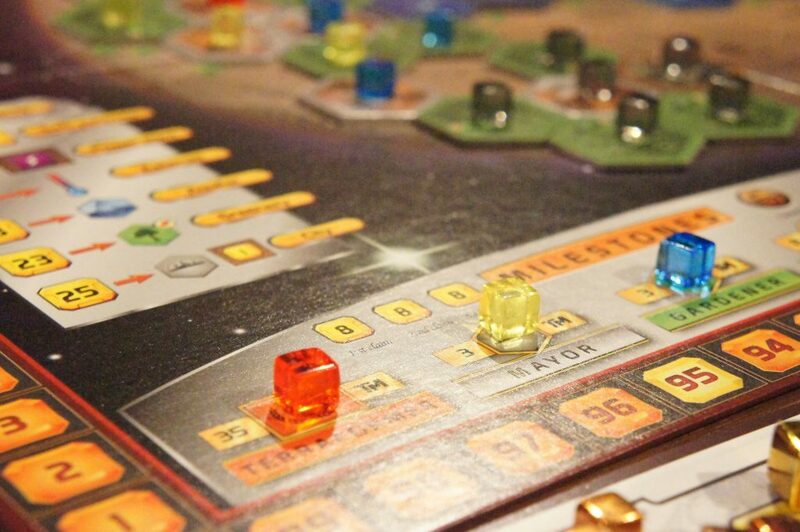 You can accelerate or not the terraforming, in light of your game, the cards you have in your hand, the other players’ boards… Knowing that everybody has interest in terraforming, as increasing the t° or the % of oxygen increases your terraforming rating (=gives VP at the end, but also indicates your level of revenues at each round, which is a nice idea), and placing ocean tiles on the planet gives you bonuses, either immediately or at the end of the game via VP. In short everybody must terraform, but all is a question of pace. Second asset of the game, the mechanisms. They are quite classic (choice between different actions to be done at each round) but they work perfectly between themselves. 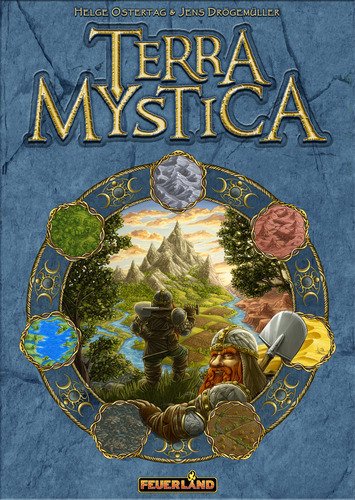 There are many different possibilities (which is good for the heavy gamers, they will have plenty of opportunities to burn their brains), but this never becomes boring or too heavy, as the rules are clear and easy to master, and the iconography is complete and very clear as well, be it on the board, on your personal board or on the cards. Last but not least, and we come back to the presence of the team, you can spend 8 heat units or 8 plants units. But this is not to get a red cube or a yellow cube, which, combined, will give you a green cube and when you get 3 green cubes you receive 1 purple meeple. No no no. If you spend 8 heat units or 8 plants units, it is to terraform Mars!!! The theme makes the gameplay lighter and more fun. This phase continues as long as at least 1 player wants to play 1 or 2 actions. It ends when all players pass (a player who has passed can’t play anymore during this phase if the other players continue to play). Last phase of the generation, the production phase, which takes place on your personal board. Players start by converting their energy units into heat units, then produce following what they have developed with their cards (energy, heat, plants, tools, stars bonuses) and earn their money (following their rating on the terraforming rating scale, on the general board). 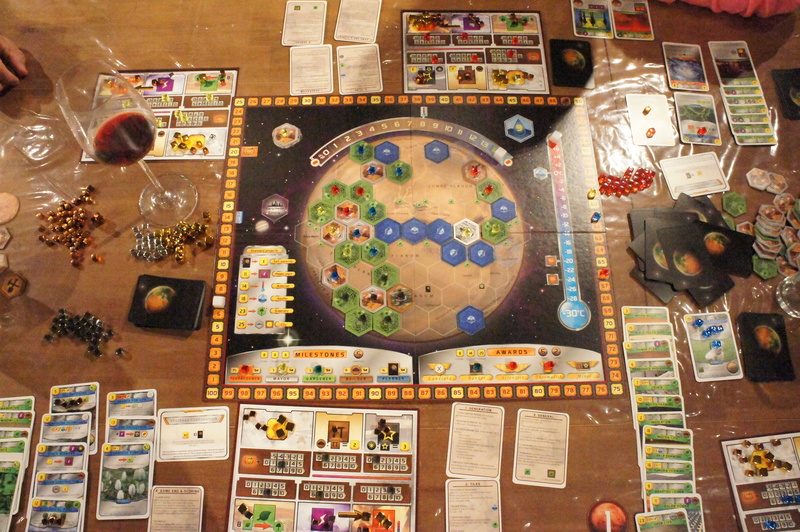 Once the 3 required levels are reached the planet is terraformed, the game ends and we count the VP by adding the terraforming ratings, the VP given by the milestones and the ones given by the awards, the VP given by the plantations placed on the planet and the cities placed on the planet which are adjacent to plantations, and last the VP mentioned on some cards. A fantastic game this Terraforming Mars, which completely deserves all the praise it is receiving!